This superb modern detached 3 bedroom home is now available to the rental market- a modern and elegant family home situated in peaceful Marldon Village. The property is situated on the new Moorview development surrounded by similar stunningly presented new homes. Marldon is a peaceful and popular village just on the outskirts of Paignton with fantastic links to the dual carriageway and link road to Exeter. To the ground floor there is a wonderfully spacious kitchen diner with modern fittings and fixtures throughout including fitted cooker and built in fridge freezer. Bi-fold patio doors open fully out to the rear garden from the dining area giving the feeling of a fluid transition between the indoors and outside space. From the kitchen there is a separate utility room with further work surfaces perfect for a laundry room. Also on the ground level is a cloakroom and large lounge is bright and airy with pale grey carpeting. 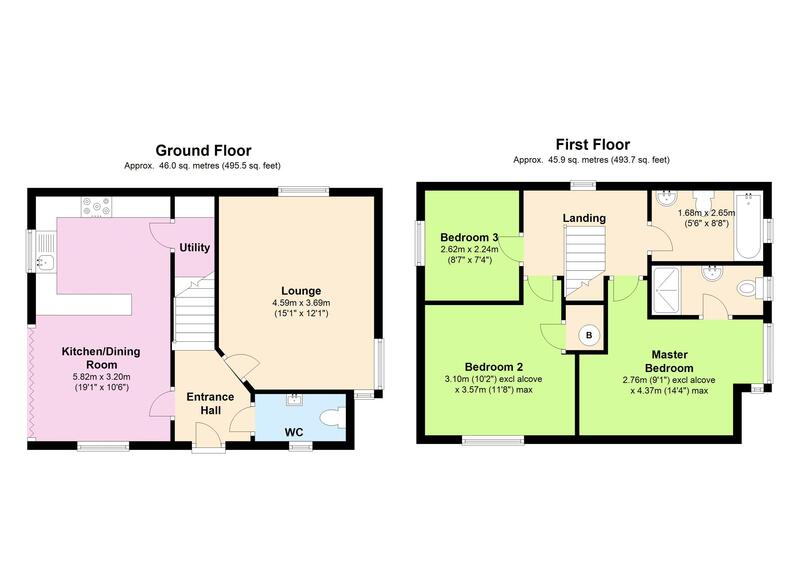 Upstairs there are 2 large double bedrooms and 1 single bedroom which could be used as an office due to the power points inc USB and TV points in this room. The master bedroom has floor to ceiling windows and a modern en suite shower room with stylish tiling. The family bathroom is also high spec in keeping with the rest of the home. 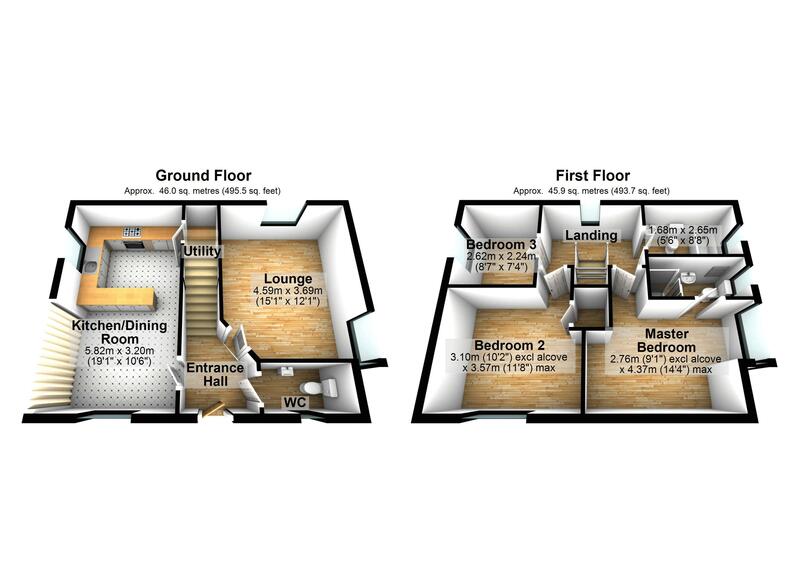 Further benefits include driveway parking for 1 car and a single detached garage with access from the rear garden. The garden is totally enclosed and mostly laid to lawn with a patio area immediately outside the dining room doors. There is gas central heating and UPVC double glazing throughout. Call today to book your viewing as we imagine there will be high demand for this stunning property. Available end of March. 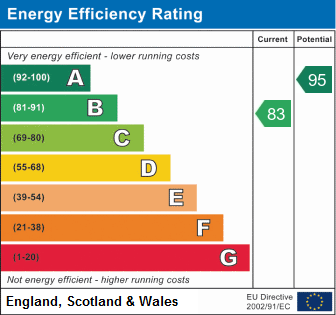 EPC Rating – B.